Originally Aired LIVE, Friday Afternoon, February 3rd, 2017- Dave & Dave had little time to waste on this day as they brought in special guest, Shorty Ruiz, fresh off his big ball 4 wall doubles win at the Iceman (WPH Outdoor Cup Stop #1) in Stockton, CA, almost one week ago. 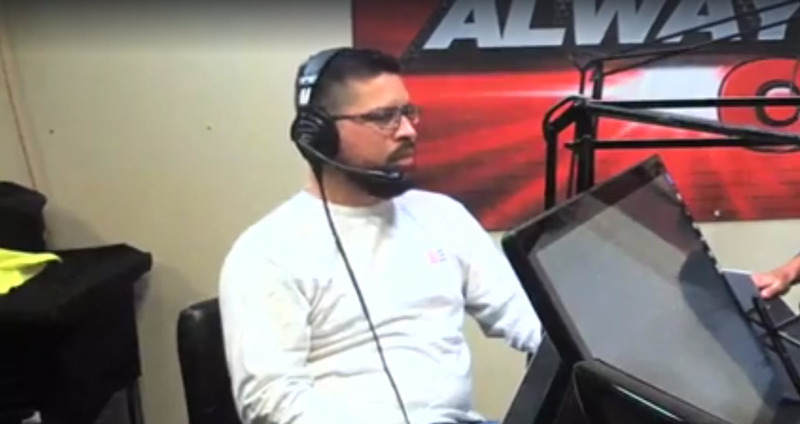 Ruiz talked about his transition from SoCal to Tucson, AZ, helped preview the upcoming Royal Flush & New Orleans gigs, plus listens to one of the Dave’s obsess over celeb birthdays, …..the She’s Aces handball tournament and Jake Plummer Bash. Did we forget to mention endless stats from Rain Man? No worries, however, Ruiz was caught obsessing over his own back-wall game in a tear-jerking moment that simply didn’t get edited for obvious reasons. Dave Vincent & David Fink, now on iTunes and Tunein Radio w/the D&D Handball SportsCast chat with Shorty Ruiz on this special Super Bowl Edition. If you love handball and you might want to sit this one out, as the team couldn’t wait to run to the nearest TV set to watch 24 hour coverage of the Big Game on all major sports networks, and it showed in today’s lackluster performance. #JustReportinglove the NFL, this is a can’t miss treat from a guy who was once regarded as one of the best on Sundays.